The Advanced ACO Payment Model: An Unlikely Source of Innovation? Posted byAdmin	 July 26, 2012 July 27, 2012 Leave a comment on The Advanced ACO Payment Model: An Unlikely Source of Innovation? Recognizing that all healthcare is local and typically imprinted with variable leadership DNA, risk maturity levels, provider concentration or segmentation, competitive dynamics, urban v. suburban and rural market considerations, the Centers for Medicare and Medicaid Services (CMS) including the Center for Medicare and Medicaid Innovation (CMMI) refined and offered several programs designed to appeal to different levels of candidate ACO provider readiness and geographic suitability. The Advance Payment Model is designed for physician-based and rural providers who have come together voluntarily to give coordinated high quality care to the Medicare patients they serve. Through the Advance Payment ACO Model, selected participants will receive upfront and monthly payments, which they can use to make important investments in their care coordination infrastructure. 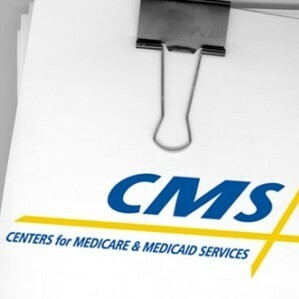 By developing this option CMS is directly responding to stakeholder input sourced during the extensive Notice of Proposed Rule Making (NPRM) process relative to the Medicare Shared Savings Program (MSSP), including comments on the initial Advance Payment Model originally published May 2011. One of the material themes emerging from the dialogue centered on the lack of ready access to capital and therefore the associated infrastructure to build out and ramp up the needed staff for provider recruitment, care coordination, and population health management. Thus the model addresses core issues of two principal provider classes including: ‘rural‘ and ‘physician led‘ ACOs. Both categories of providers generally present with unique start-up financial constraints and business challenges essential to perform under the terms of the MSSP. Advance payments are structured in this manner to acknowledge that new ACOs will have both fixed and variable start-up costs. For a complete listing of the participating providers in the Advanced Payment ACO model, click here. A CMS prepared fact sheet is available, here.